Let your husband know this Father's Day just how much he is appreciated. 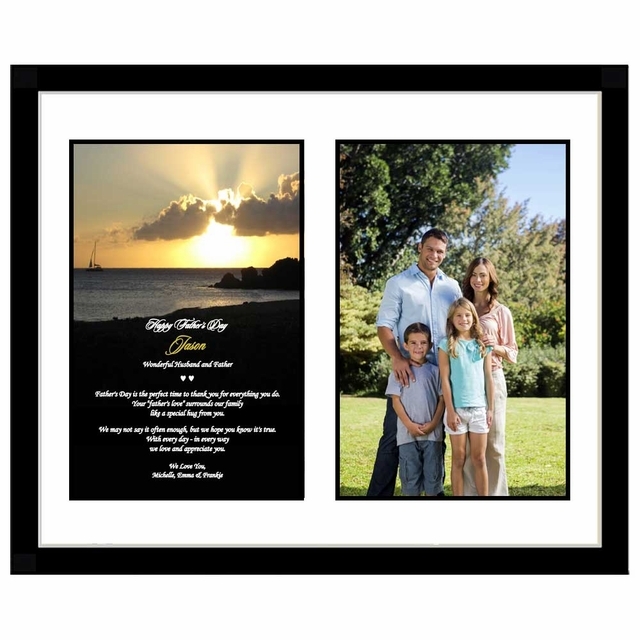 This keepsake frame with touching poem will be read over and over again. Your husband will love this Father's Day keepsake especially because it's from you and the kids! Add a favorite photo to make it extra special. frame that can also be hung on wall. part of a larger photo that is inserted after delivery. 2. Optional Phrase under Name - Examples: Wonderful Husband & Father; Fabulous Hubby & Daddy; etc. 3. Closing Phrase & Your Name(s) as seen after poem - Examples: Love, Jill & Billy; Love Always, Mary, Katie & Jake; etc. Father's Day is the perfect time to thank you for everything you do. We may not say it often enough, but we hope you know it's true. Hard to find gift for my husband. Wanted to thank him as well as having a gift from our son. This was perfect.